Dentists have a number of possible degrees and qualifications which can make picking the right one difficult, says Dr. Danial Kalantari, Santa Ana dentist of Smiles on Bristol Dentistry. To help you figure out what dental professional you need, we have gone over the most common types and what the differences between them are. The most important thing to first consider when looking for a dentist is to make sure the dentist is accredited and licensed to practice. While unlicensed dentists are very rare, they do still exist and often target poorer income patients who have few options. All 50 states have license records available on their respective sites through online search functions. The license information will also provide information about whether they have had any disciplinary action or official complaints filed against them. However, almost all states will allow dentists to practice in their state for up to 5 years with proof of an official license from somewhere else. If you are having difficulty finding a license for your dentist in your state, they may have a license from another state. Feel free to call your dentist if you have concerns and get their appropriate license information. Most people only ever need to see a general dentist. General dentists are the professionals who oversee regular checkups, perform fillings, can do simple extractions, and provide initial diagnoses and recommendations for patient conditions. To become a general dentist, students must achieve either a Doctor of Dental Surgery (DDS) or Doctor of Dental Medicine (DDM) degree. Unlike most doctorates, dentists do not need to get a master’s before getting their doctoral degree. Most go directly from undergraduate studies to dental school where they work on their doctorate. DDS degrees and DDM degrees mean the same thing. One is not better than the other, so consumers looking for a generalist should feel comfortable hiring a dentist with either qualification. The distinction between the degrees arose simply because Harvard started offering a dental doctorate but only awards degrees under the Latin names. The Latin version of Doctor of Dental Surgery was a bit long and convoluted, so they settled on the more simple “Dentariae Medicinae Doctor” or DMD. The American Dental Association (ADA) confirms that DDS and DMD degrees are interchangeable. Some dental practices require greater certifications beyond the standard DDS or DMD. According to the ADA there are currently 9 recognized dental specialties: Pediatrics, Endodontics, Dental Public Health, Prosthodontics, Periodontics, Oral and Maxillofacial Radiology, Oral and Maxillofacial Pathology, Oral and Maxillofacial Surgery, and Orthodontics and Dentofacial Orthopedics. Pediatric specialties train dentists on how to work specifically with children, who tend to have differing physical and mental needs than adult patients. These specialists have the training to be able to accurately treat infants to adults. For parents with children who are having issues with primary teeth and the transition to adult teeth, these are the dentists to contact. These dentists also receive training on how best to interact with younger patients. Due to all the sights, sounds, and possible discomfort, many children develop a fear of the dentist. Pediatric specialists have specialized training in making the dentist office a kid friendly place. They also are better trained with how to deal with uncooperative children in a friendly, patient manner. Endodontics covers special training on the internal structures of teeth, particularly the tooth pulp, which is the living tissue part of the tooth. It also deals with the support structures that interact with the pulp such as the connected bone and the connective gum tissue. The doctors handle procedures particular to these structures and are better suited to making specific diagnoses and treatment plans in regards to issues in these areas. The dental public health specialty focuses on community dental health rather than individual treatment. Much like CDC doctors work to monitor, prevent, and treat widespread diseases, dental public health specialists keep track of dental diseases among the population and develop community-wide efforts to improve dental health. Prosthodontics is the field covering oral prosthetics. This includes any bridges, implants, dentures, etc. which are used to replace missing teeth. Oral prosthetics are used both cosmetically, to enhance the appearance of a smile, and functionally to help people be able to eat properly again. Periodontics covers the gums foremost. Technically it covers any of the outside supporting structures that help keep the teeth in place. Periodontal specialists have greater knowledge of the diseases and treatments for these soft tissues and can offer better preventative measures and information for high-risk patients. For dentists that want to take and better understand radiographs such as x-rays, they can specialize in Oral and Maxillofacial Radiology. This helps them to make better diagnoses and can safely utilize x-rays to examine not just the mouth, but the head and neck. As pathology is the study of causes and effects of diseases, Oral and Maxillofacial Pathology is the study of diseases relating to the mouth, head, and neck. Pathologists work to identify the various diseases and figure out where they come from and what effects they cause. This research is highly important in developing effective treatment options for conditions affecting the mouth and maxillofacial regions. Oral and Maxillofacial Surgeons receive special training on more advanced surgeries. For most surgeries beyond simple extractions, a general dentist will refer their patients to oral and maxillofacial surgeons. They are trained to work with both the hard and soft tissues of the mouth. Orthodontics and Dentofacial Orthopedics work on the alignment of the bone and tooth structures. They study how the bones and teeth are supposed to be arranged for optimum health. By straightening crooked teeth and reducing crowding, teeth are less likely to trap as much food particles becoming less susceptible to decay. Teeth at improper angles can also hit their roots against the roots of other teeth and become damaged. Orthodontic work also treats issues such as under bites and overbites. This entry was posted in Uncategorized on August 31, 2015 by meara. With so many types of mouthwash on the market, choosing the best one for you can be confusing, says Santa Ana dentist, Dr. Danial Kalantari of Smiles on Bristol Dentistry. The type of mouthwash you should get depends on your specific needs. Below is a list of the most common types of mouthwashes and what they are used for. Cosmetic mouthwashes are used to quickly mask and combat bad breath. They can be used any time of day as frequently as needed to freshen breath and replace bad tastes. However, their effects are short lived because they do not treat the main causes of bad breath. Bad breath is caused by bacteria in the mouth that release bad smelling compounds. Cosmetic mouthwashes are minimally, if at all, effective at eliminating bacteria. The vigorous swishing can help remove stuck food particles which helps to prevent tooth decay. However, overall, cosmetic mouthwashes are best used for immediate bad breath relief and not as serious oral hygiene care. Additionally, people should avoid using them too often because they tend to be acidic in nature which can actually damage the teeth if done too frequently. Therapeutic mouthwashes actually contain chemicals that are used to kill oral bacteria and many offer fluoride to help protect the mouth. They come in alcohol and alcohol-free formats. Alcohol mouthwash can be highly effective at killing bacteria and reducing plaque, but alcohol can also cause dry mouth which overall is counterproductive to oral health care. Dry mouth means the amount of saliva in the mouth is reduced. Saliva is key to keeping a proper oral pH. Saliva helps kill oral bacteria. It also contains minerals that help teeth remineralize and repair tooth decay. While oral hygiene products help great amounts in protecting the teeth, saliva is the only thing that is constantly in the mouth protecting the teeth. When a person has dry mouth, their main and most consistent line of defense is removed leaving their teeth unprotected for most of the day. For people without any known issue with fluoride, fluoride mouthwashes are the best bet. They enhance protection against decay, and protect the teeth against acidity of the mouthwash. Therapeutic mouthwashes get into places that brushing and flossing do not reach like under the gum line helping to kill hard to reach bacteria and remove lingering plaque. Bacteria under the gum line is the number one cause of gingivitis and gum disease. Flossing and mouthwash create a complete oral routine to protect gum health. While flossing is an essential practice for proper oral care, many people do not like the sensation. For people in this situation, mouthwash is a vital step to keep bacteria from building under the gum line. You should also discuss with your dentist further flossing alternatives to find an acceptable solution. A number of alcohol-free mouthwashes contain the chemical Chlorhexidine which is a main treatment method for gingivitis and gum disease but can have negative side effects and is not recommended for long term use. Mouthwashes with chlorhexidine should be used to help fight gingivitis over a short period of time and then patients should switch to a mouthwash that does not contain chlorhexidine. If gingivitis, characterized by swollen, bleeding gums, does not appear to be clearing up, talk with your dentist for better solutions. Mouthwashes can be helpful in cleaning and soothing canker sores by clearing away aggravating bacteria. Ones with alcohol or other intense chemicals can aggravate canker sores, however, so patients should make sure to only use a gentle rinse on their canker sores. Some mouthwashes also help to increase saliva production and balance pH levels. Biotene and Therabreath, for example, both help the mouth return to a healthy pH. Biotene was specifically designed to help fix dry mouth. Therabreath has the most basic pH of any mouthwash on the market to rapidly take your mouth from acidic levels back to safe pH’s. Patients should always verify that their mouthwash has been approved by the ADA, American Dental Association. The ADA requires extensive studies demonstrating a product’s safety and usefulness before they will give their seal of approval. The ADA works as an unbiased third-party verification service for dental products. Many companies will release their own personal studies on their product touting impressive claims. However, dishonest companies might intentionally inflate findings or make claims that were not necessarily proven by the studies. Only with an unbiased third-party verification can consumers know a company’s claims are valid. Some Smiles on Bristol patients wonder if they should have a particular order for their brushing, flossing, mouthwash routine. There is no definitively more effective pattern to oral care. The most important aspect for good oral care is simply to remain consistent. Dr. Kalantari does recommend patients rinse with mouthwash after they brush with a fluoride tooth paste if they are using a fluoride-free mouthwash. The fluoride in the toothpaste will prevent any acid erosion from the acidic mouthwash. Mouthwash with fluoride protects at the same time so it can be used at any stage in the dental routine. This entry was posted in Uncategorized on August 27, 2015 by meara. Unfortunately all industries are plagued by fraud and dentistry is no different says Santa Ana dentist Dr. Danial Kalantari of Smiles on Bristol Dentistry. Because dentistry requires a certain amount of expertise, some dentists take advantage of people’s lack of knowledge and will try to exploit it for profit. At Smiles on Bristol, we want you to know the signs of dental scams so you can find a dentist that is truly looking out for your best interests. One of the most common dental fraud schemes is insurance fraud. Dentists will bill procedures that were never performed to get insurance money for it. They may also list simple procedures as more complicated procedures to increase the fee. Most dental insurance plans have payment caps of a max of $2000 so, unlike medical insurance companies, dental insurers have less pressing need to thoroughly review all claims. Patients should keep a close track of their bills and should ask questions about anything that seems out of place. If the dentist is honest, they should be happy to review the information and will be able to give you a detailed answer about every claim. Dentists that blow off questions should be avoided. While dental care strategies can vary a bit from dentist to dentist, the overarching theme should be protecting the natural teeth over artificial replacements every time. Teeth have an ability to heal minor decay with remineralization, but teeth will never be able to grow back if large parts are damaged. Fillings and crowns should only be used when decay is past a margin for remineralization and action must be taken to prevent further decay. Natural tooth can last you your whole life, but most restorations will wear out during your life time and will need to be replaced. Restorations are sealed and bonded to the tooth to keep out decay but if that seal breaks, decay can reach far into the tooth around the restoration. Dishonest dentists may try to make a profit by recommending a huge amount of work which will often be outside coverage provided by insurance. A journalist for Reader’s Digest traveled around the country, trying out dentists in every state. He checked with multiple dentists before he left, who settled upon a consistent diagnosis. As he traveled the country a number of dentists found the same diagnosis and recommended treatment with on average cost less than $1500. Many other dentists, however, “found” a huge number of problems and prescribed treatments that cost up to $29,000. If you have been to a dentist consistently and have had minimal issues and then switch to a new dentist who suddenly recommends lots of expensive work and treatments, they may not have your best interests in mind. Like insurance fraud, this is one of the most common types of scams. Patients will come in for their first appointment with a new dentist and the dentist will inform them that they’ve been able to spot a number of issues that need to be addressed immediately. Patients should ask their dentist to walk them through their x-rays and point out the different cavities and issues. Cavities will show up as very dark spots on the enamel of the tooth which should ordinarily be fairly light on an x-ray. They most commonly show up where two teeth meet. Serious cavities will extend from the outer areas of the teeth inwards toward the root. Patients who have doubts about dental diagnoses should get second opinions from other dentists. Some patients who have not been to the dentist for many years may need a lot of work when they go back, but better to have a second opinion confirming a diagnosis than to blindly accept expensive and invasive treatments. For people with old mercury amalgam fillings, some dentists will recommend patients have all of those fillings replaced. Unless there is a noticeable issue like an allergy, this is unnecessary. Many studies have been conducted to find out whether the mercury can “leak” from the amalgam and cause poisoning. The answer is no. Patients studied with amalgam fillings had essentially the same mercury levels as those without. Removing the fillings, however, will remove parts of the healthy tooth the filling is bonded to. This means the replacement filing will have to big bigger and you will have less natural tooth. Silver fillings can be replaced for cosmetic reasons, but dentists should never try to scare patients into getting them replaced. Some dentists also over prescribe side treatments such as deep cleaning treatments, fluoride treatments, sealants, prescription toothpastes, and night guards. These tools all have essential functions, but should really only be used when truly needed. Deep cleaning treatments are needed when someone has severe or worsening gum disease. The deep cleaning will get deep under the gums and tackle infection and decay that cannot be ordinarily reached. It is an expensive, usually multi-appointment treatment and is not usually covered by insurance, so only patients who know they have gum issues should accept a dental recommendation for deep cleaning. Fluoride treatments and prescription strength toothpaste can work wonders for patients with consistent cavity issues. Like a medical prescription, fluoride treatments and prescription toothpaste should only be recommended once patients have shown a consistent struggle with decay and greater measures need to be taken. Dentists should never try to simply sell patients on products. Patients who rarely have decay will receive almost no benefit from fluoride treatments or prescription toothpastes and should not feel they need to pay for them. Sealant treatments are a standard treatment for children and adolescents because they often do not have the best oral hygiene routines. The sealants can particularly help protect back teeth that children may struggle to reach. Sealants, however, are not generally prescribed for adults. Most sealants last years after their application in so a child should not receive a new sealant treatment every appointment. Tooth grinding can be a serious issue that can cause thorough damage to teeth. In these cases, a night guard is highly recommended and the highest quality, best fitting ones are made by a dentist. However, the majority of people do not have serious grinding or jaw pain and do not need a night guard. Patients should also trust their instincts. If something feels off, ask questions and get a second opinion. Your teeth and your money are important and an honest dentist should want you to hold onto as much of both as you can. This entry was posted in Uncategorized on August 24, 2015 by meara. While sports are a great way to stay in shape, they can be a danger to your teeth says Santa Ana dentist, Dr. Danial Kalantari of Smiles on Bristol Dentistry. Sports have a high rate of contact either between objects or with other people. One wrong strike can cause permanent damage to the teeth that requires costly procedures to fix. Fortunately, there are a few ways to help keep teeth safe. Proper nutrition can help to keep teeth strong and more resistant to contact. Tooth enamel is made of phosphorus and calcium, so a diet rich in those nutrients will keep the enamel strong. Vitamin D also helps the body absorb calcium. Including vitamin D with your intake of calcium will make taking calcium more effective. Foods low in acids and high in nutrients like dark, leafy vegetables will keep your body strong and will prevent tooth damage. As an athlete, water is already an essential. Not only does staying hydrated keep your body in top shape for working out, but it helps protect teeth as well. Drinking enough water helps promote saliva production which keeps the mouth at a proper pH level and is essential in repairing tooth decay. Water does not have any bacteria-feeding sugar like most sports drinks. It can also help to rinse away sugar and food particles from the mouth after eating or drinking to limit any negative effects. Nutrition can only do so much, however. For physical protection, mouth guards are recommended. There are a few different types of mouth guards on the market. The first and the cheapest are generic store-bought mouth guards. These guards have generic sizes and shapes to generally fit patient mouths. They provide some protection but are not generally recommended as they have a number of downsides. Due to their generic nature, they can be ill-fitting. This can cause discomfort and can even make speaking and breathing difficult. Another type of store-bought mouth guard is specially design to react to heat and must be boiled. Once the plastic has softened from the heat, they can be placed into the mouth and adjusted for a personalized fit. They are fairly straight forward and provide better protection than the generic store mouth guards. The personalized fit makes them more comfortable. The best type of mouth guard comes from your dentist. They will specially create a mouth guard for you using a mold of your teeth. It is the most customized of the mouth guards and affords the most comfort and best protection. It is also the most expensive option, but well worth it. Sports with limited contact may not need such high-quality protection, but sports like football, basketball, and hockey involve a great amount of contact and require greater protection. These mouth guards are also the best for people with braces. The dentist will ensure that the mouth guard can accommodate the braces in a safe and comfortable manner. Most mouth guards are only fitted to the upper teeth which are more prone to damage from contact than the lower teeth. Under certain circumstances, a dentist may recommend a mouth guard for the lower teeth as well. A lower mouth guard may be necessary for patients with braces or other dental appliances. Check with your dentist for personal recommendations on mouth guards and to make sure current mouth guards are effective. Santa Ana dentist, Dr. Kalantari, is happy to help any patient looking to better protect their teeth. He will work with you to find the best option for your activity and budget. Mouth guards are helpful for people in sports like football, hockey, lacrosse, rugby, and more. Sports like gymnastics, cheerleading, soccer, martial arts, and volleyball can also involve potentially dangerous situations that would benefit from mouth guards. Activities like mountain biking, skateboarding, dodgeball, parkour, and horseback riding could also require a mouth guard for protection. Taking proper care of your mouth guard is very important as well. Because the mouth guard will be going in your mouth, it must be kept clean otherwise it can increase your risk of infection or tooth decay. Make sure to brush your teeth before putting a mouth guard into your mouth so that it does not trap in any food particles and so the mouth guard does not collect any food and grime. Mouth guards can be cleaned with toothpaste and a tooth brush just like your teeth. Make especially sure to use a non-whitening toothpaste. Whitening toothpastes often contain harsh abrasives to try to remove tooth stains. These abrasives can damage the plastic of the mouth guard, making it weaker. There are some non-whitening toothpastes that can also be very abrasive. A great way to check whether your toothpaste is gentle enough for your mouth guard is to squeeze out a little bit onto your thumb. Rub the toothpaste between your thumb and finger and see if you can feel noticeable grittiness. Toothpastes that feel smooth are the goal. Most mouth guards can also be rinsed with mouthwash which will kill bacteria and make the mouth guard taste fresh and clean. Make sure the mouthwash sits for the recommended time on the mouth guard to kill a sufficient amount of bacteria. Then rinse the mouth guard well with warm water. Mouthwash is very acidic. It is not good to let it sit in the mouth pressed against the teeth as it is in a mouth guard. Rinsing with warm water will remove the mouthwash while still leaving it smelling and tasting fresh. Mouth guards can also be cleaned with mild soap and water. This is a great way to kill bacteria. Washing your mouth guard with soap and water is recommended for every time you take out the mouth guard for the day. It will help prevent bacteria and mold from growing on the mouth guard. The mouth guard should be rinsed well after cleaning to remove any soap residue before the next use. There are also tablets and powders made to specifically clean oral devices. The most common type of tablets are for cleaning dentures but there are a few brands that make tablets specifically designed to clean mouth guards. To use these tablets, get a cup or bowl of water and add a tablet. Once the tablet has dissolved completely, you can drop the mouth guard into the water and let it soak. This method cleans off residue, bacteria, and stains. Again the mouth guard should be rinsed in clean water after it has soaked with the dental cleaner. This entry was posted in Uncategorized on August 20, 2015 by meara. According to Santa Ana dentist, Dr. Danial Kalantari, the majority of his patients have gingivitis. The NY Times states that over 75% of the population has gingivitis. While this disease is mild with limited symptoms and side effects, it is the first step towards serious periodontal disease. It is also a chronic infection that your body is constantly fighting, weakening the immune system against other attacks. A daily routine of flossing, brushing, and using a mouthwash are the best initial ways to prevent gingivitis. Brushing is not good at removing plaque between the teeth. Flossing and mouthwash help to remove plaque and kill bacteria between the teeth and between the tooth and gums. To help protect your gums, you should brush with your toothbrush at a 45 degree angle along the connection between the teeth and the gums. Only use a soft bristled brush. Soft bristled brushes work as well as hard bristled brushes and they help to prevent abrasive damage to the teeth and gums. Many people press too hard when brushing with the hope that it will remove more plaque. However, studies show that no more plaque is removed and the strong-handed brushing can wear away tooth enamel and cause gums to recede. People using electric toothbrushes should be especially careful with the amount of pressure they apply. Because electric toothbrushes are specifically designed to take care of all the abrading themselves, adding further force puts the teeth and gums at risk. Proper technique for using an electric toothbrush is putting the toothbrush to each tooth, front and back, and holding it there for a few seconds. The only motion you need to do is to move the brush from tooth to tooth and to rotate the brush at different angles to make sure you reach all the tooth surfaces. Further action is not required. Certain electric toothbrushes like Philips Sonicare, offer sensitive brush heads to further help prevent abrasive side effects. If you ever feel pain on the gums after brushing, see if you can brush more gently and look for a softer tooth brush head. Pain in the gums can happen during flossing due to the inflammation that accompanies gingivitis. The pain should go away with a consistent flossing practice. If the pain does not go away schedule an appointment at Smiles on Bristol Dentistry, or with your local dentist to diagnose any potential problems. Because the gums do not attach to the teeth at the very top, patients need to make sure the floss slides down the tooth between the tooth and gum until the gum stops it. For people with very tight teeth, certain string floss can be a problem as it can catch between the teeth and get stuck. There are a number of floss options on the market such as Oral-B’s Glide Floss which is made up of thin, soft material. There is a much smaller chance of catching and even if the floss gets stuck, it breaks cleanly rather than shredding and knotting up between the teeth. For people who hate the sensation of flossing, there are, also, a number of options. One of the best, but also one of the most expensive is a WaterPik – an electric water floss. The WaterPik shoots streams of water at varying intensities and has been shown to be much gentler on the gums, while still being as effective if not more than string floss. The WaterPik should be aimed at the connection between gums and teeth and between the teeth. Simply holding the stream on each location for 3 seconds efficiently cleans out plaque, stuck food, and bacteria. There are also brushes that brush between teeth like Proxabrush called interdental cleaners. Mouthwash gets where flossing and toothbrushing miss. It is formulated to kill bacteria which helps stop gingivitis and bad breath. There are store-bought mouthwashes and a number of other natural remedies that can be used. Because most mouthwashes are acidic to help kill the bacteria, try to always use a mouthwash that contains fluoride and only use mouthwash after brushing the teeth. The teeth will be strengthened and protected by the layer of fluoride so that the acid will only kill the bacteria and will not damage the teeth. Rinsing with lemon juice or cranberry juice can also kill bacteria. Both are highly acidic so they kill bacteria, but again only use after the teeth have been protected with fluoride. Cranberries also have additional antibacterial properties which can help the mouth. Do not use juices with added sugar as a mouthwash as this will simply feed the bacteria. Taking Vitamin C boosts the immune system which can help it fight the bacteria in your mouth. Rinsing the mouth with warm salt water also has great benefits. Salt works to kill bacteria, as well as prevent further bacteria growth. A study from the Journal of Indian Society of Periodontology found that rinsing the mouth with turmeric also has great anti-bacterial effects and it helps to reduce inflammation. Aloe Vera has many known health benefits. In its pure form, it can be used on the gums and is effective at fighting bacteria and fungus. Plus, it has soothing effects to comfort painful, swollen gums. Either chewing guava leaves or making a rinse with guava leaf extract also has great properties for the mouth. Not only does it fight bacteria and microbials, but it provides topical pain relief. For persistent gingivitis, characterized by red, swollen gums, bleeding while flossing, and occasionally painful gums, talk to your dentist for further advice and demonstrations proper brushing and flossing techniques. For people in Santa Ana, feel free to call Dr. Kalantari at Smiles on Bristol Dentistry for a thorough consultation and diagnosis. This entry was posted in Uncategorized on August 17, 2015 by meara. Chewing on ice cubes may provide a fun crunch, however that crunch could be damaging your teeth. Because of the hardness of ice cubes, they can put unnecessary strain and pressure on your teeth. Healthy teeth will likely be okay, but for teeth weakened by any tooth decay, the strain can cause them to crack or chip. Certain medications can cause dry mouth. Dry mouth occurs when your body makes less saliva than normal. Saliva helps keep the mouth at a healthy pH, helps kills bacteria, and helps remineralize teeth. When there is less saliva in the mouth, the teeth are less protected. A number of medications cause dry mouth leading some doctors to wonder if our dependence on prescribing medications may be partially causing the upswing in the rate of tooth decay. You should double check the label of any medications you are taking to see if dry mouth is listed as a symptom. If it is and you want to help improve your oral protection, you can invest in products such as Biotene that help replace the saliva in your mouth. NSAID pain relievers, antihistamines, and acid reflux medications can all cause dry mouth. Infrequent uses of these drugs will not cause a major problem, but if you use these medications daily, you may want to take actions to protect against dry mouth. Pools are treated with chlorine to kill bacteria. Because chlorine is an acid, getting pool water in your mouth can cause tooth erosion because the chlorine drops the pH level in your mouth. If you swim a lot, take extra precautions to not get pool water in your mouth to protect it from this potential acid erosion. A variety of foods that have otherwise many benefits for the body can be contributing to tooth decay. Any type of citrus food is chalk-full of acid that will erode your teeth. Vinegar-based salad dressings and pickled foods are also highly acidic and will cause damage to your teeth. Almonds can also be damaging to your teeth. They are similarly hard like ice, and compress when you bite them rather than breaking apart. This causes major strain on the teeth. Almonds, however, are a great source of calcium which helps to strengthen the teeth. Try buying sliced almonds or almond products like almond milk to get the great tooth boosting calcium without the damaging crunch. Juicing can also cause problems for your mouth. Juicing keeps all the acid from different fruits like citrus or apples and bathes your teeth in it. Try rinsing your mouth with water after eating anything acidic to help get the acids away from your teeth. Also eating cheese after consuming acidic foods can help neutralize the acids and give you teeth a boost of calcium. While it is good to brush after eating to remove bacteria, acid, and plaque as soon as possible, brushing too quickly after eating can actually be damaging. The bacteria in your mouth are most active right after you eat, releasing lactic acid that damages the teeth. This acid weakens the teeth, so when you run abrasive toothpaste and bristles over the teeth, they can actually damage the tooth. Dentists Dr. Kalantari and Dr. Arcila of Smiles on Bristol Dentistry in Santa Ana, California, recommend waiting 20 minutes after eating before brushing. This gives the teeth a chance to harden again before you run abrasives over them. It is also still quick enough to get rid of much of the plaque that develops. Also, because brushing is an abrasive process, it is possible to brush too hard which can wear down both the teeth and the gums. Many gum recession incidents are cause by brushing that is too aggressive. Toothbrushes and pastes are designed to protect the teeth without the need for strong pressure, so be gentle with your mouth and buy soft bristled brushes. While both green and black teas can actually benefit your mouth, some fruit-flavored teas are actually very acidic and can damage your teeth. Lemon flavored teas are some of the most damaging. Black and green teas actually fight bacteria in the mouth and provide antioxidants which benefits the body. Black tea is more refined than green tea, losing a bit of the antioxidant content, so if you want the best tea for your mouth, stick with the green. This entry was posted in Uncategorized on August 13, 2015 by meara. At Smiles on Bristol Dentistry, Santa Ana, we are specially trained in treating dental caries in patients. Dental caries are the same thing as the more commonly used term dental cavity. 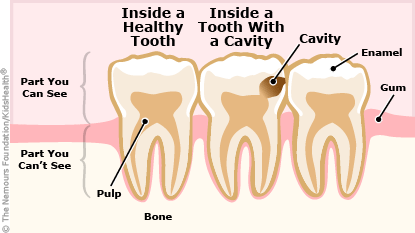 Cavities are a type of tooth decay caused by bacteria in the mouth. These bacteria live off sugar in the mouth and they release lactic acid that erodes the teeth. This erosion creates the dental “cavity” which, if left untreated, can continue to damage the tooth until the tooth is too weak and has to be removed. Cavities are also ideal places for bacteria to collect, and the revealed insides of the tooth mean there is a much greater chance of contracting an infection. Patients whose diets contain high amounts of simple sugars are at an increased risk of dental caries. Cavities can be painful, but usually only after they have caused significant damage to the tooth, exposing nerves that cause pain. Regular trips to the dentist will locate dental caries before they become a serious issue and will keep teeth cleaner so that caries do not form in the first place. Contact Santa Ana dentist, Dr. Danial Kalantari, at Smiles at Bristol Dentistry today for your routine cleaning and checkup! This entry was posted in Uncategorized and tagged dentist, dentistry, santa ana on August 10, 2015 by meara. 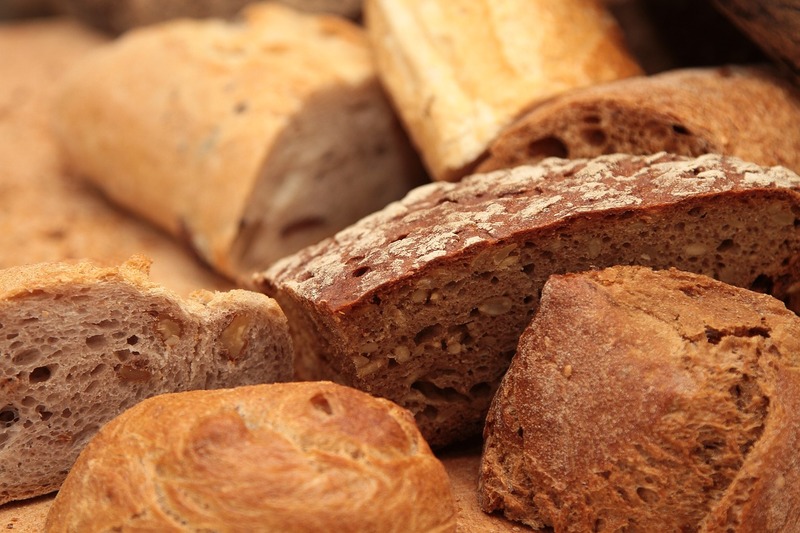 Santa Ana Dentist, Dr. Danial Kalantari, of Smiles on Bristol Dentistry, knows that many patients love their grains and breads. However grains and complex carbohydrates can contribute to tooth decay. The teeth actually have a much greater ability to heal than most people are aware. Tooth enamel does not heal, per se, but it can “remineralize.” Reducing grain consumption, and cultivating a diet rich in nutrients is a natural way to help prevent and heal tooth decay. When tooth enamel is hit with acids or abrasives like aggressive tooth brushing or tooth grinding, the minerals wear away in a process called demineralization. Each person’s saliva contains a combination of phosphorus and calcium that bathes over teeth. Under proper oral pH levels, these minerals will bind with the enamel and fill in areas that have weakened. Many circumstances can prevent proper remineralization from happening. If the pH of the mouth becomes acidic either due to the consumption of acidic foods and beverages, or from bacteria in the mouth releasing acid, then the teeth will lose minerals. Areas of decay can also become blocked by stuck food particles which prevents healing saliva from reaching the tooth. Many medications and conditions can cause dry mouth, as well, that prevents the body from producing proper levels of saliva so the teeth do not receive the saliva bath they need. Almost everyone is aware that reducing your consumption of sugar will greatly improve the condition of your mouth. This is because the bacteria in your mouth live off of sugar and then release lactic acid onto your teeth. Simple sugars are the biggest culprits because bacteria can use the sugar immediately as it enters your mouth. More complex-sugars are less of an issue because they reach the stomach, or can be cleaned out of the mouth before they can be converted into sugars that are edible to the bacteria. However, if bits of complex-sugars are left, or get stuck in the mouth, the bacteria will convert them to simple sugars and will use them to create acid. Most people also know that acidic foods will immediately hurt the teeth. Some of the biggest offenders are sodas, citrus fruits (particularly lemons), alcoholic beverages, blueberries, cranberries, vinegar, pickled foods, ketchup, and many grains. Grains are complex carbohydrates so they can be broken down into sugars that feed bacteria. However, grains and beans also contain a substance called “phytic acid.” Phytic acid not only damages the teeth, but has been shown in a number of studies to prevent the body from absorbing a number of minerals including iron, magnesium, calcium, and zinc. A study performed in 2013 found that when people reduced their phytic acid intake, their iron absorpotion increased by as much as twelve times. Because phytic acid prevents mineral absorption, it can be preventing your teeth from properly remineralizing. Phytic acid is most common in processed grains. Certain techniques of processing can remove or reduce the amount of phytic acid. The most common methods to reduce phytic acid are sprouting, soaking, and fermenting your grains. Traditional sourdough techniques remove a large amount of phytic acid, as does baking for long periods of time. Carbohydrates are a key part of your diet and should not be removed completely. However, developing a diet that focuses mostly on proteins and nutrient-rich fruits and vegetables will help your oral health. This type of diet will promote more nutrients in your body which are key to keeping your body running properly. The body is naturally made to be able to repair itself, but it needs nutrients to repair itself effectively. A study on the benefits of nutrition for oral health was performed on a group of children. The children were divided into three groups and each group was assigned a different diet. One group was assigned their normal diet plus consistent consumption of oatmeal, a grain high in phytic acid. A second group was assigned to eat normally, plus take vitamin D. The last group was assigned a diet high in proteins, vegetables and fruits with minimal amounts of grains and a supplement of vitamin D. The amount of tooth decay in their mouths was measured at the beginning of the study and at the end. The group with the low-grain, nutrient-rich diet had almost complete healing of any tooth decay. The middle group had a small improvement in tooth health. The oatmeal, high-grain group saw a huge increase in tooth decay with limited remineralization. The most important minerals for tooth remineralization are phosphorus, calcium, and vitamin D. Phosphorus and calcium are what actually form the tooth enamel in remineralization. Calcium is not easily absorbed by the body on its own, but vitamin D has been shown to significantly increase the amount that calcium is absorbed by the body. The body synesthizes Vitamin D from sunshine, but you can also get it from many types of sea food and shiitake and button mushrooms, as well as, supplements. This entry was posted in Uncategorized and tagged dentist, dentistry, santa ana on August 7, 2015 by meara.